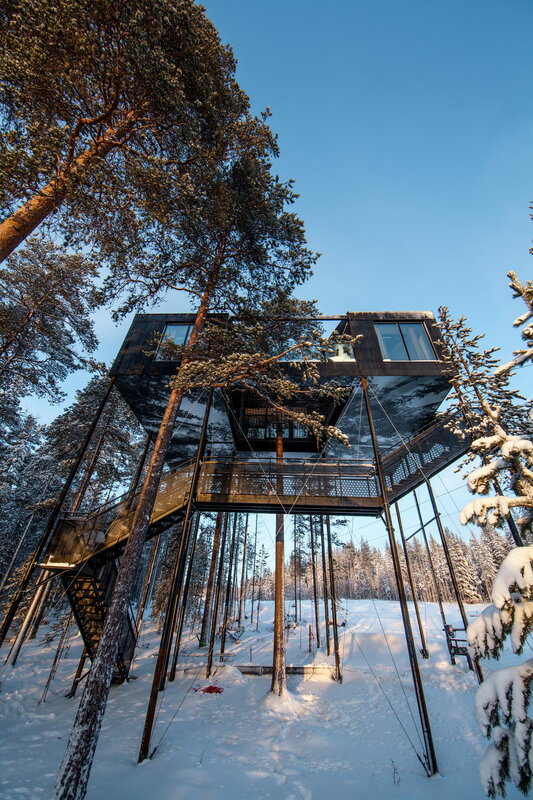 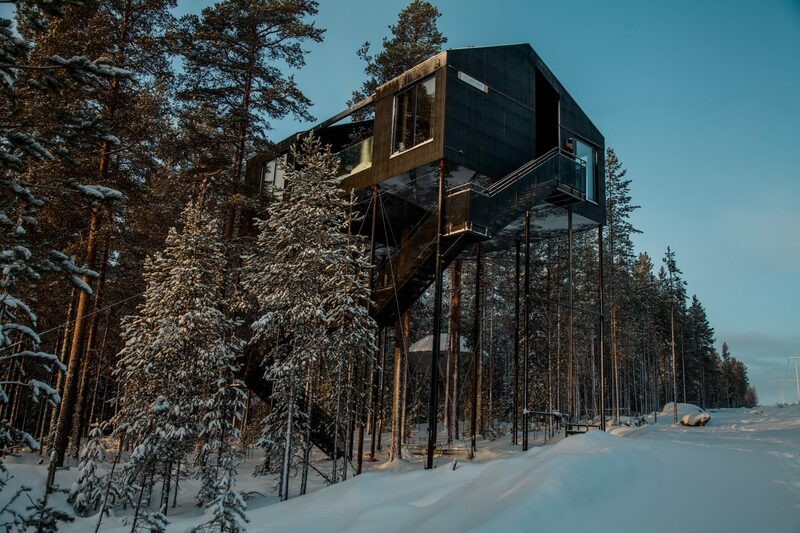 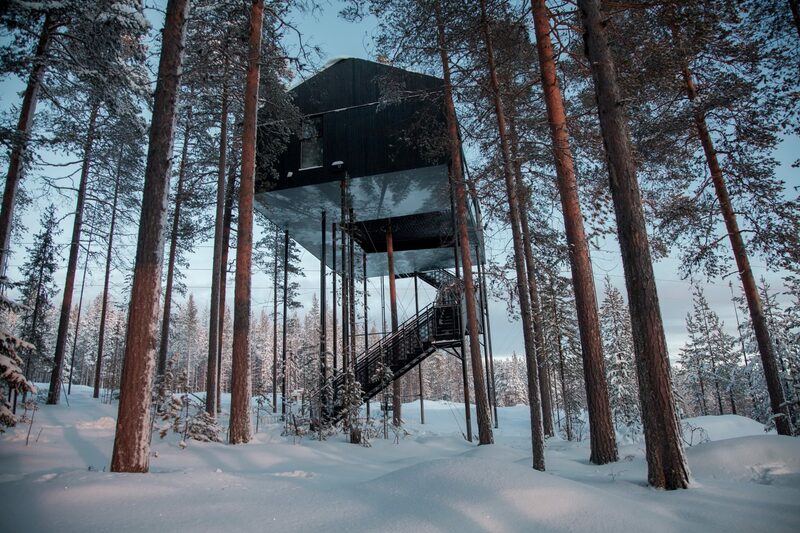 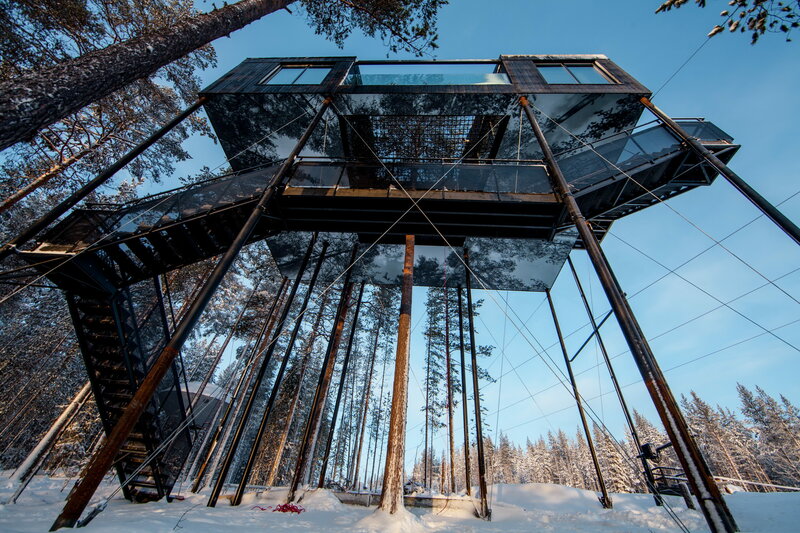 Located in the Sweden village of Harads, with a population of about 600, the 7th Room is one of the rooms of Treehotel. 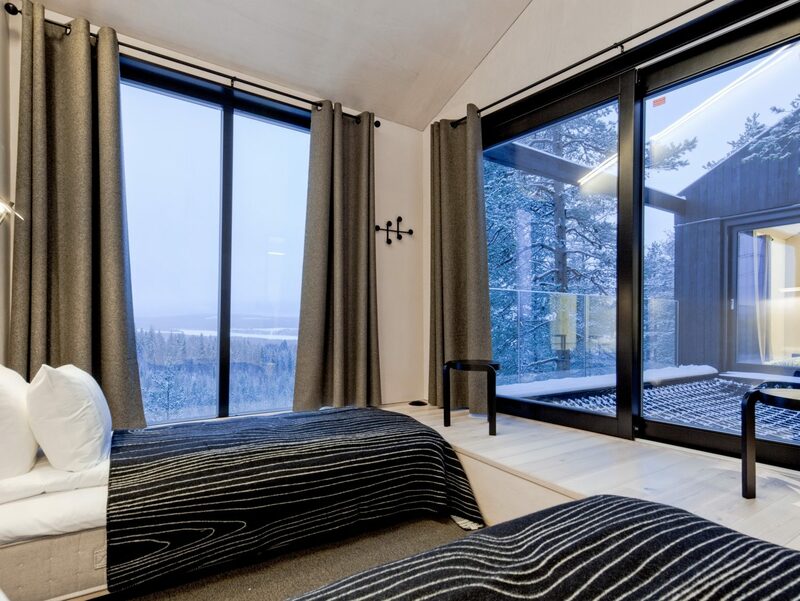 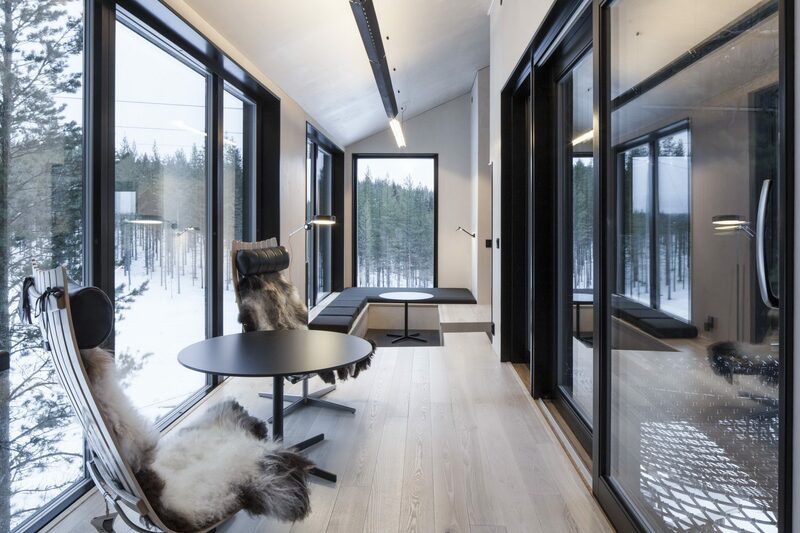 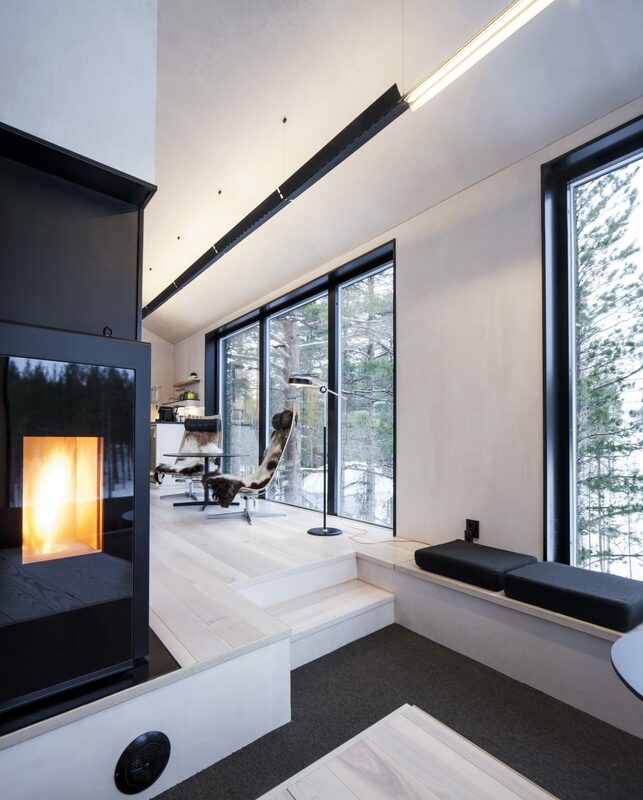 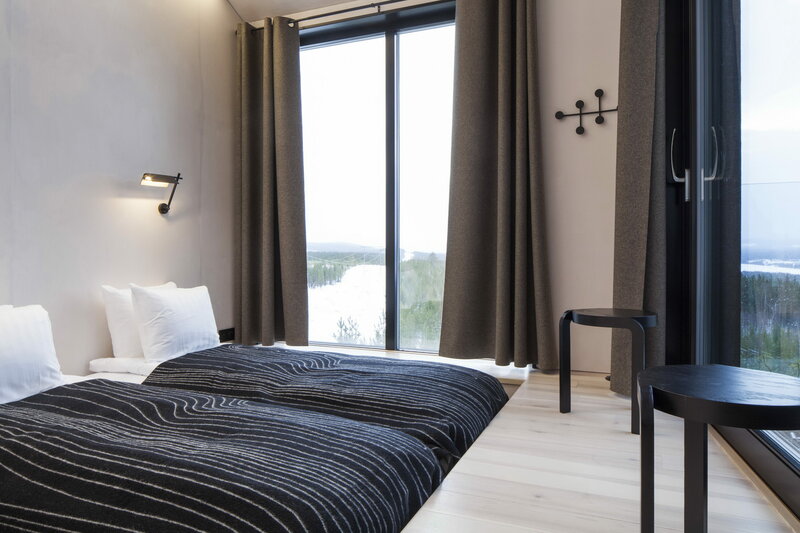 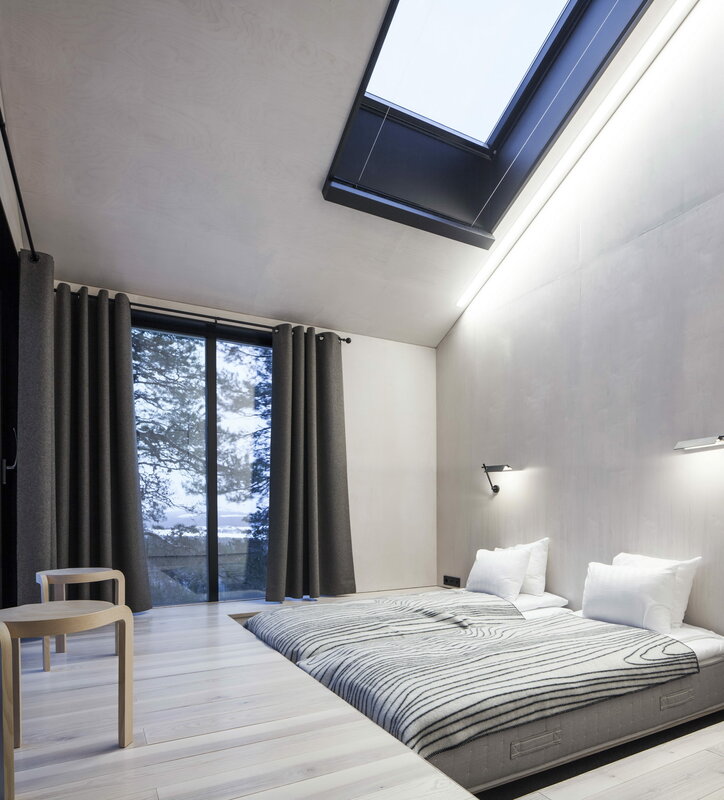 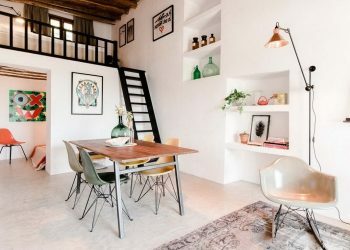 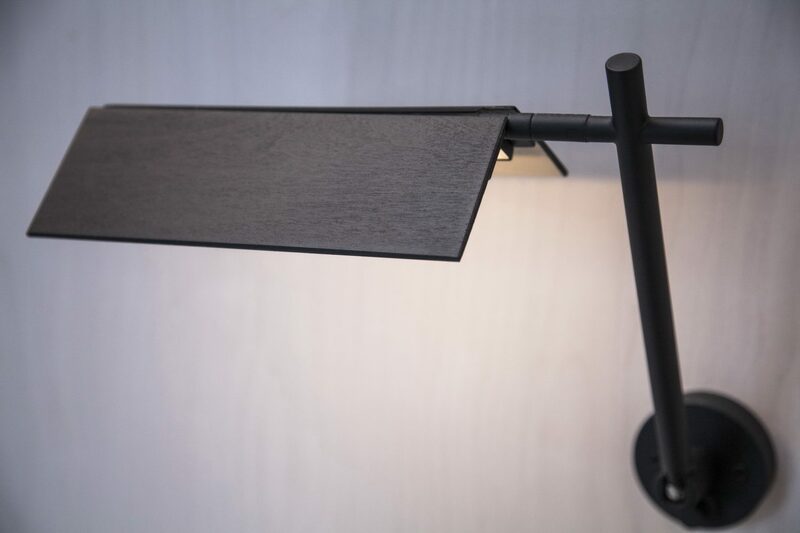 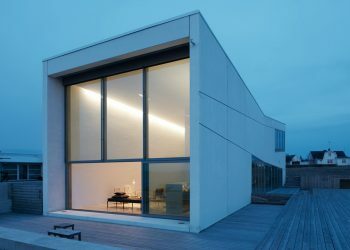 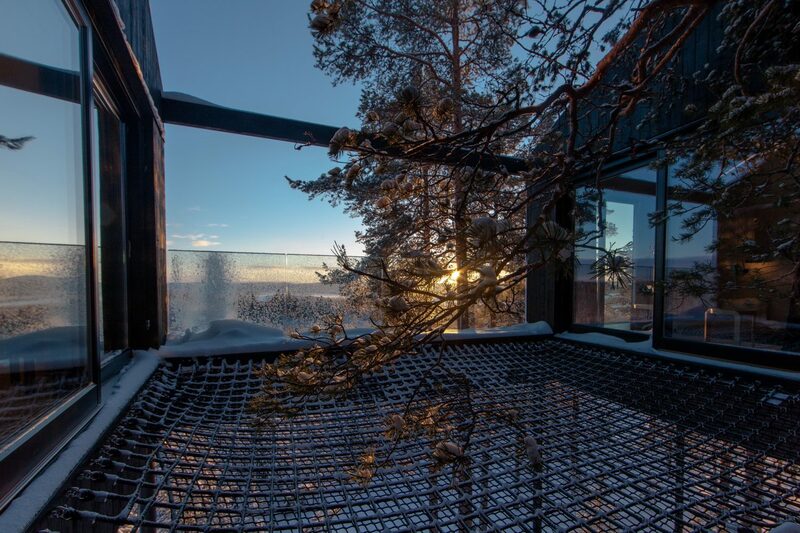 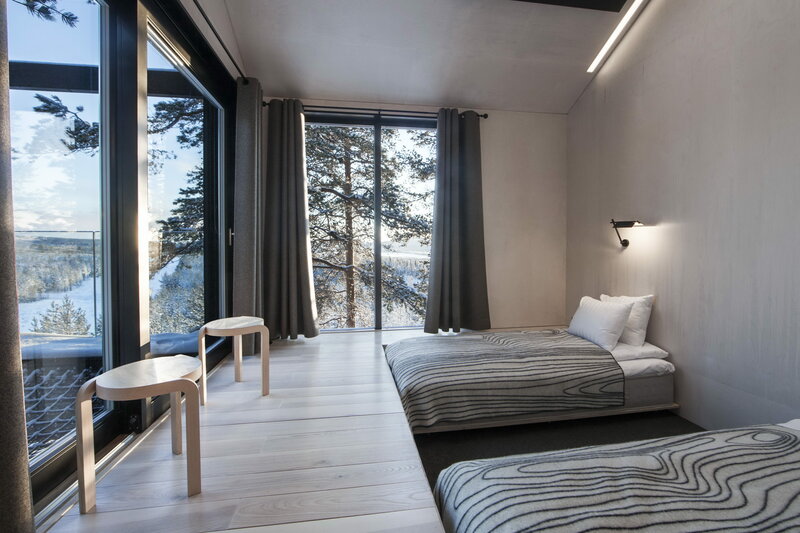 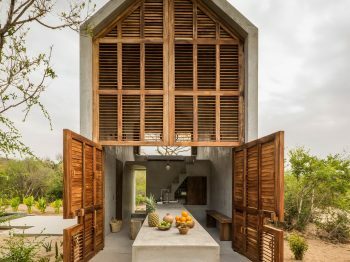 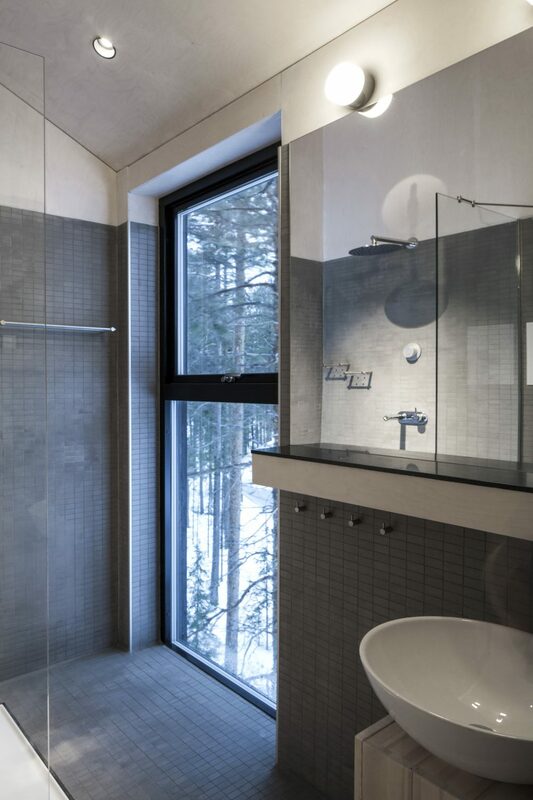 Designed by Snøhetta in 2016, the room accommodates five people and consists of two bedrooms, a lounge area, a bathroom, and the airy terrace. 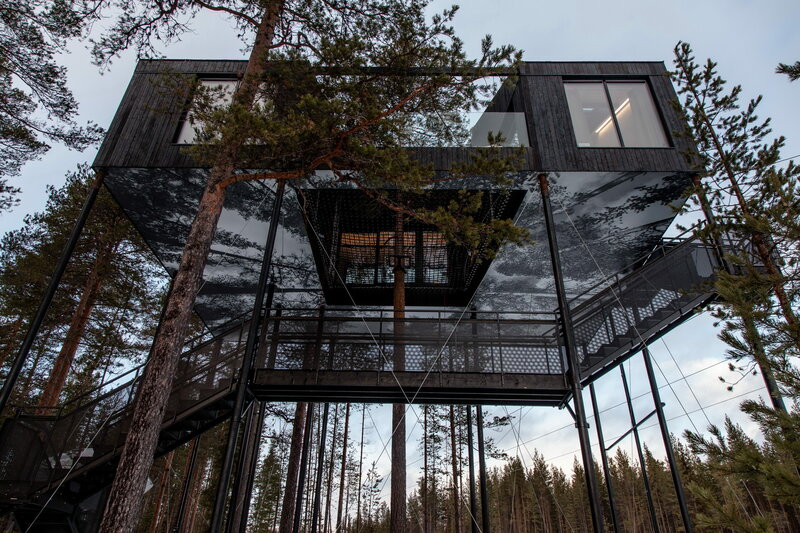 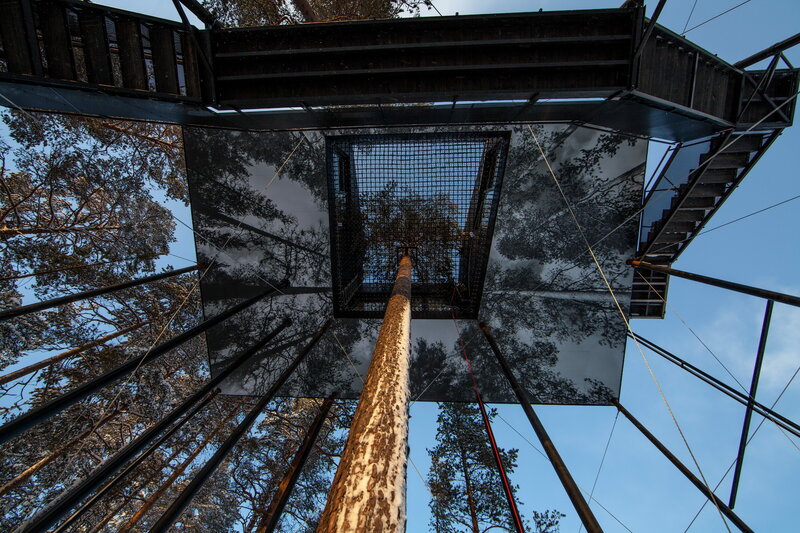 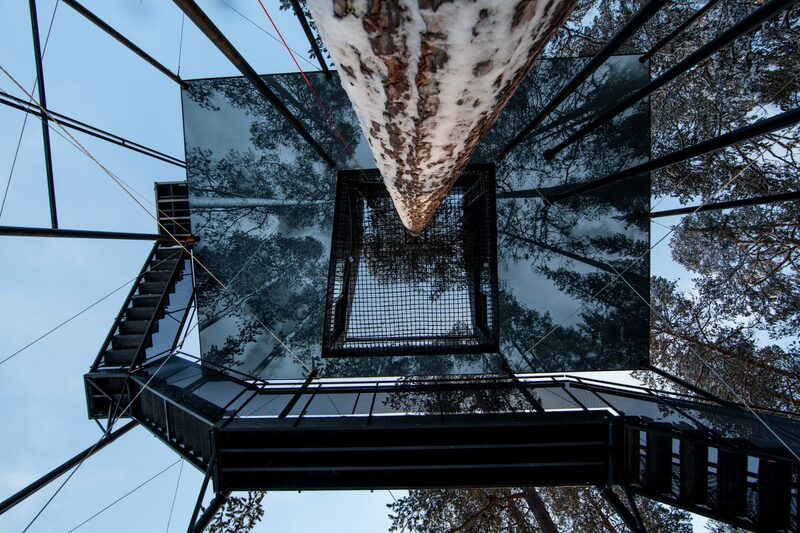 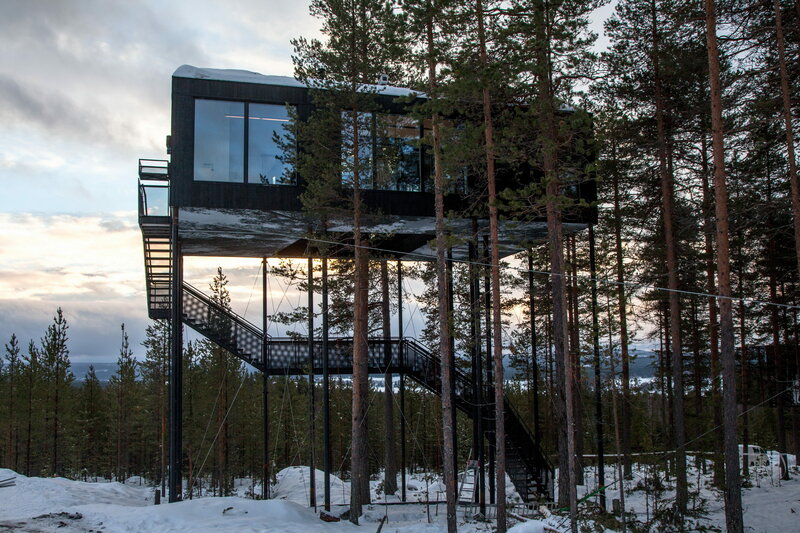 Hovering 10m (33ft) above the ground, this minimal black cabin measures 55m² (592ft²). 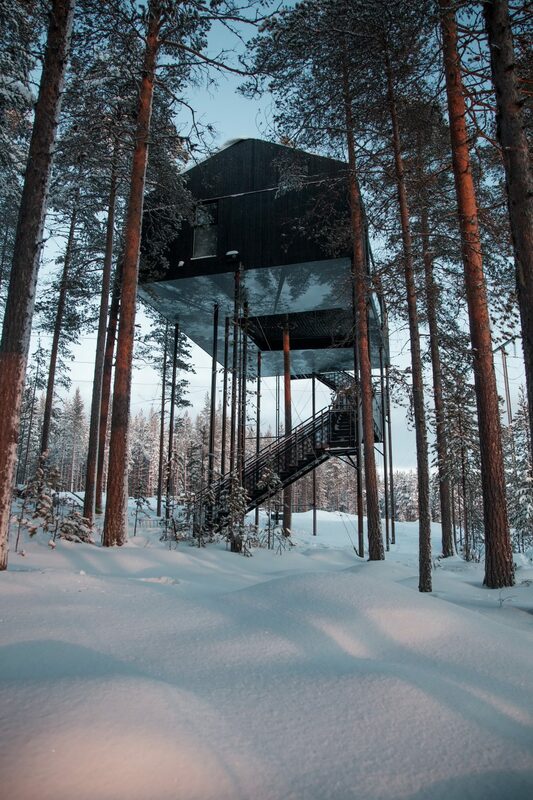 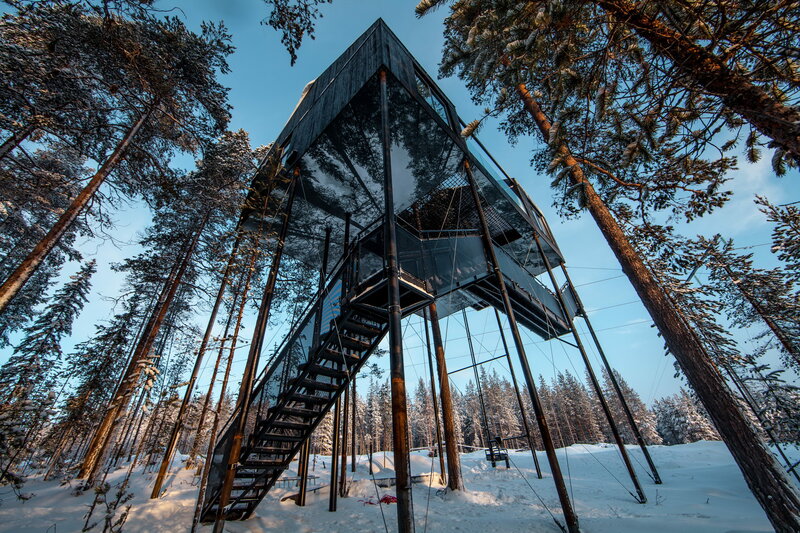 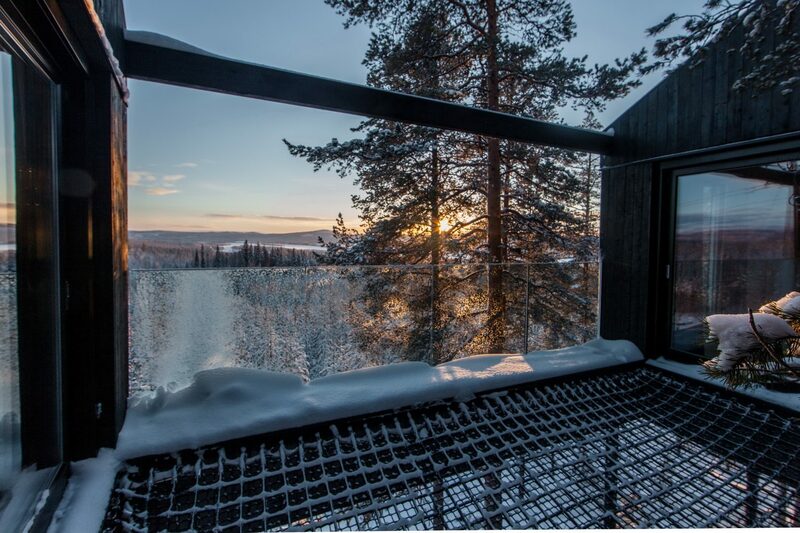 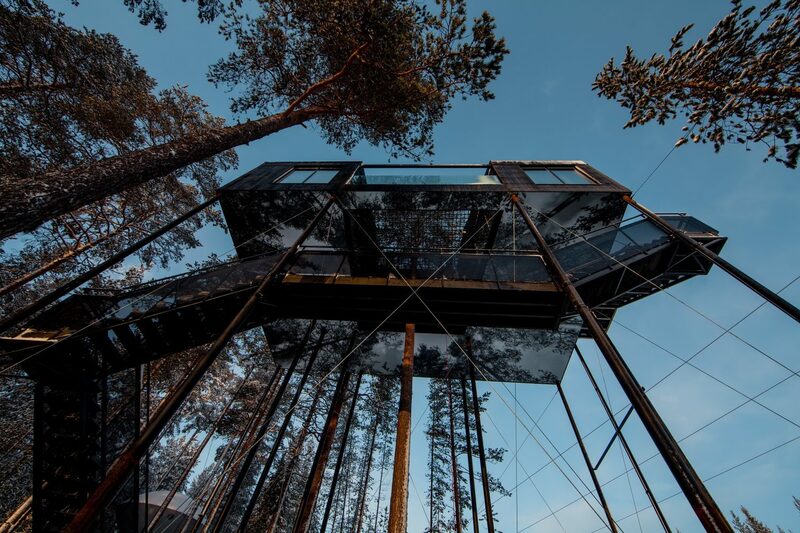 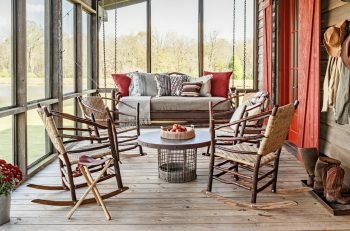 Visit Treehotel to book your stay.